It’s almost springtime and warmer weather is on the way! Which is a great opportunity to wash away the dust bunnies that have collected in the cold of winter, and it is a fantastic time to assess the state of your finances. If you anticipate receiving a refund this year, you may be tempted to treat yourself and your family to a bunch of stuff that you couldn’t afford all year long.. The problem with “stuff” is that it usually doesn’t make you more money along the way…once it’s spent, that’s it. And life goes back to not being able to afford the extras for the rest of the year. 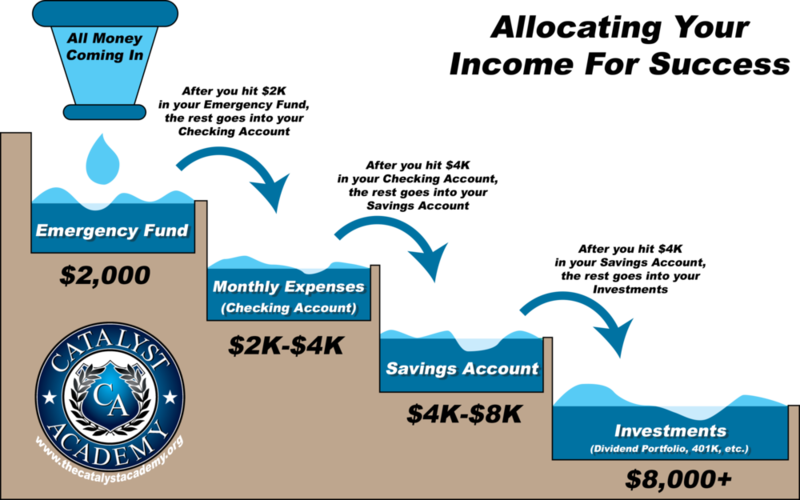 Why not invest most or all of your tax refund so that you can make more money in the future? Index funds are an easy way to do this, and can come with a high return. Clicking on this simple guide will help you get started! Many people are scared to see what is going on with their credit score, but a tiny peek can be just the push you need toward making necessary repairs. It may take several months, or even a year, to get your credit report in tip top shape, but it CAN be done. Starting this task in the spring will give you a better outlook for the rest of 2019 and help you meet your future goals of owning real estate, or another big purchase. You are entitled to one free copy of your credit report per calendar year, and you can get it here. Sticking to a new budget is about as difficult as adhering to a new diet; you know it has to be done, but sometimes it’s just too hard to do. That being said, budgeting is important because it can allow you to free up money for all kinds of things such as an emergency fund, which will help you to avoid the pitfalls of financial fragility. Learning how to allocate your income is the best first step to budgeting successfully. After you have a smart flow occurring with your income, you can move onto daily and monthly expenses. Get started today! It is so easy to say, “I’m going to start an emergency fund this year,” and even easier to not actually do so unless you commit to a “begin date.” Why not begin on the first day of spring? Wednesday, March 20th is great date to begin putting aside funds in case an emergency occurs throughout the year. People get laid off, or fired, accidents happen, health can take a turn for the worse at a moment’s notice; being financially prepared for these scenarios takes a lot of burden off you and allows you to deal with the issue at hand. There are plenty of ways to free up cash to stash away for an emergency, and NOW is the best time to get it figured out: Start an Emergency Fund Now. Clutter makes most people unhappy, so sweeping away the paper that is occupying unnecessary space in your home or office will help boost your efforts to also clean up your accounts. Scan and save all of those statements you have been collecting; you can store them on a hard drive if you are worried about trashing them completely. Next, visit the website of each one of your accounts and search for, and select, the option to receive electronic statements only. Set up “online bill pay” to reduce the amount of checks or money orders you have been writing out. And ask your job to direct deposit all of your paychecks into your bank account. Going paperless will not only help to keep your life organized, it is also much better for the environment. Making sure that your finances are cleaned up for the spring will give you peace of mind throughout the rest of the year, and allow you to better prepare for when summer activities and holiday expenses roll back around. 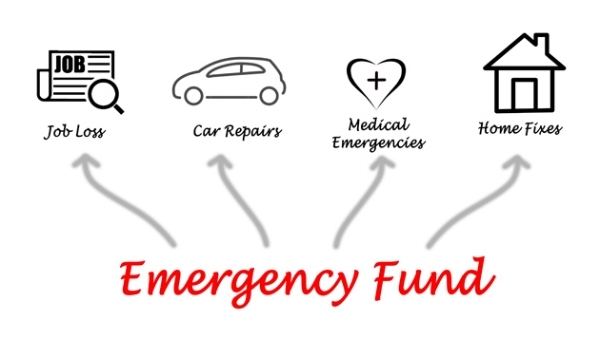 The discussion about creating an emergency fund is ongoing and very important…yet all too often, preparation for a financial disaster is dismissed as a non-essential action; it’s something to consider for later on when we are ready to set aside the cash to spare. And for those who have stable employment with great benefits, it almost seems ridiculous to worry about all the “what ifs.” That was until the recent government shutdown taught us an important lesson about financial fragility and how easy it is for any of us to fall victim at a moment’s notice. It is critical to understand that a shutdown that results in employees being separated from their paychecks is not about job performance. It is not about reprimanding the employee who always shows up late for work, or who surfs the web on the job. An employee could be the best worker in the office, on time every day, never calling out sick…maybe even next in line for a big promotion, then suddenly, he or she, finds themselves holding the new title of the “unemployed.” For 35 days, over 800,000 American government workers were in that exact position and had their paychecks frozen. Some were even required to continue working without pay. One minute they were happily enjoying what was assumed to be financial stability, and the next, they were panicking about how to come up with money to pay for basic living expenses such as rent, mortgages, car payments and even food. Average, tax-paying citizens were on the brink of homelessness and dealing with the possibility of losing everything they had worked so hard for; these people had little warning, and most were not prepared for the long haul - this is something that should frighten everyone, because it can happen to any of us, for any reason. Being financially fragile means that a person is unable to access and spend $2,000 within one month of being faced with an emergency; and a recent study has shown that one in three people are unable to do so. Humans are not immune from emergencies, regardless of how much money one makes, or how stable a job appears, so it stands to reason that being prepared should be on the top list of priorities. However, it is easy to become complacent when a steady paycheck feels like it will last forever. And the idea of setting up an emergency fund gets shifted over to something that is taken care of “next time.” But the recent government shutdown, and the one that might be following if certain political demands are not met, proves to us all that now is the time to prepare for the worst. Another alarming element about a government shutdown is that the catastrophic effects eventually trickle down into non-government sectors. If transportation security agents were to go on strike for lack of pay, employees of civilian corporations may be prevented from conducting business because flights could become grounded; this could also negatively impact airline workers and their families. Contractors might lose wages and experience project delays. Small businesses may be impacted harshly, as was discussed with a shutdown that occurred in 2013. Low income people, whose very survival depends on benefits such as food and housing assistance, could eventually have nowhere to turn. Highly anticipated tax refunds could be put on hold until further notice. Our economy could crash and its effects would be felt for years to come; these examples are just a few of the many possibilities that indicate a shutdown would not only hurt federal employees, but may harm us all as a society. The best way to prepare for a financial disaster, whether it is caused by a government shutdown, corporate lay off, medical emergency, or something else…is to start working on a separate fund that is tucked away just in case. Cutting out unnecessary spending is a great way to free up extra money to stash away in an emergency fund. And learning to allocate all sources of income appropriately is a great way to experience the overall benefits of financial wellness. They say there is an app for everything, and now there is a free one, Status Money, that will allow you to see where you stand financially. The app allows you to track your income and spending, helps you to reduce fees and interest rates...which can potentially increase your net worth. And the best part is it allows you to compare your finances with other people across the U.S. anonymously. You can now see how you stack up against people who have similar age, income, location, and compare it all to the national average. The insights will help to ensure that you are making healthy, informed decisions about your finances. Status Money lets you peek in on important financial wellness stats, such as how much rent you are paying compared to other people in your area, whether or not your loan interest rates are higher than normal, and how much money people your age are currently making at their job. As a bonus, the app also allows you to monitor your credit score! Apps like Status Money are essential to those who are looking to improve their finances, and who are wondering about where they stand in comparison to others. According to a study in the Journal of Personality, discipline and self-control both correlate with happiness and life satisfaction. In the study, 414 adults completed a survey where they were asked about their habits pertaining to impulse control, overall life satisfaction, and current emotional state. The team of researchers then assessed data from a previous study in which 205 adult participants were asked about their emotions at random moments while using smartphones; they were also asked to make note of any desires or impulsive behaviors they were experiencing and whether or not they acted on them or resisted. The data from both studies was compiled and the conclusion was that self-control dictated more satisfied results in people's lives. There is something to be said of those who avoid shortcuts; they execute a set of strict goals and stick to the program. People who have a high measure of self-control do not waste time trying to figuring out quicker ways to complete a task. These people focus on what makes sense, regardless of how much effort is required, thus avoiding conflict as a result. And in turn, are generally happier than their impulsive counterparts. To explain why this is the case, the researchers conducted an additional study. This time, they found out that people with a lot of discipline tend to avoid issues associated with poor planning and problematic behaviors. Those with exceptional impulse control don't waste time finding easy ways to complete tasks and hardly give into desires on a whim. The takeaway is that people will likely experience a higher rate of happiness and success if things such as exercise, diet, or even finances were approached with a conditioned state of mind. Failing to plan is essentially planning to fail. A regimented lifestyle with a strict set of habits will lead to a much easier life in the long run. Are You Keeping Up With Your New Year's Resolution? It's only been a few weeks since most of us made promises to become better versions of ourselves in the new year, but are you keeping up with your end of the bargain? A recent survey from the Better Sleep Council (BSC) claims that 45% of Americans who made a resolution this year won't make much of an effort to keep it, and another 9 million wont make any effort at all. The top resolutions included people who wanted to work on health and savings: 53% said they wanted to exercise more, while 49% were focusing on getting fit and staying healthy. 46% just wanted to lose weight, and 42% wanted spend less and save more. Lissa Coffey, a lifestyle expert and BSC spokesperson, suggested that "adding better sleep to your list of New Year's resolutions can make it easier to reach some of the other goals on your list, whether that's exercise, getting fit, or even losing weight." She also said that "it seems so simple, but getting adequate rest can positively impact every other part of your life. When you're well rested, it's easier to choose healthier foods, and to feel energized to exercise." What's more, according to a study by Rand Europe, a third of American workers have reported they regularly get fewer than seven hours of sleep per night. And another study from Matthew Gibson of Williams College and Jeffrey Shader of the University of California at San Diego indicated that people who actively increased their sleeping habits by one hour per night saw their wages increase by 5% over time. And a wage increase can mean more savings! Most phones and tablets have an option for turning off the blue light that is keeping you awake at night. If your device doesn't offer a nighttime filter option, there are many downloadable apps available that can help. Not only will it save money on energy, keeping your room temperature between 65 and 67 degrees Fahrenheit will make it easier for you to sleep more comfortably. A healthy bedtime routine can be the difference between a good night's sleep and a long night of insomnia. Get into the habit of shutting down devices at a certain time to assist with a beneficial sleep schedule. This is a great plan especially if staying fit and losing weight are also part of your resolution. And practicing a technique like yoga before bed can relax your muscles which helps you to reach a more restful state of sleep. You may plan on waiting until the last minute to buy gifts, but this type of rush-purchase can end up being more expensive than you had bargained for. Buying a few gifts here and there, as opposed to doing a shopping binge session will help you save in the long run. Check online stores for deals and use the "request alert" feature to see when particular items go on sale and buy them at that time. Many brick and mortar stores will honor online prices with price matching so be sure to check out weekly circulars and visit in person. While you are at the store checking for deals, ask the people at the counter if they have any coupons available. Often times, stopping by the mall office before shopping is like hitting the lottery! Many outlet malls have promotions and rewards just for shopping in their building. A little known secret is that many stores have special coupons set aside for disgruntled customers, but they expire in December, so the employees are more likely to give them away during the holidays. Homemade gifts are more acceptable than ever before. With the newfound popularity of DIY crafting videos, your loved ones will be thrilled to receive a little something from your artistic side. Even if you do not have a crafty bone in your body, there are plenty of ideas that can be created by anyone who puts their mind to it. This practice used to be considered a faux pas, but it in a time where student loans and credit card debt are choking the life out of most people's bank accounts, now is a better time than ever to give away what you don't need. An example of a good re-gift item is when a non-drinker receives a bottle of wine; they can redress the bottle in a gift bag or with a bow and give it to someone who will appreciate a potent potable. If you cannot afford to buy the most expensive gifts, dressing them up in fancier packaging can make you feel better about giving on a budget. Dollar stores have amazing items such as wrapping paper, bows, gift bags, glitter and anything else you can think of to make your presents look picture perfect. Handing someone an inexpensive mug in a box is okay, but why not decorate the box on the cheap for an extra dollar or two? Start an Emergency Fund Today! Imagine everything in your life is going along fine, you are making just enough money to pay all of your monthly bills, and a little left over for spending - then tragedy strikes and you end up using your bill money to pay for it. Before you know it, you are behind on your rent or mortgage. You start receiving demanding late letters in the mail, phone calls from creditors, and your credit score takes a nose dive. All of that could have been avoided if you had set up an emergency fund in advance. But how do you save when all you have is a few dollars left over for spending after you pay your monthly bills? It's actually easier than you think, and following three, crafty money saving tips could save you well over $200 per month. Everyone loves a sale! But most of the stuff you WANT to buy is hardly ever marked down, which is why you must focus on what you NEED to buy, and only when it's on sale; this will also help you avoid impulse shopping. It takes a bit of work, and will require you to use store circulars, browse the web, cut coupons, and use shopping apps before heading to the store. In order to save money with sales, you will have to be okay with buying store brand items which use the same ingredients as the premium brands, or switching brands altogether. Buying things only when they are on sale, whether it's groceries, clothing or electronics, can easily save you over $80 per month. Whenever we read tips about saving money, we are told to stop dining out - which is the most unrealistic advice given about the subject, and part of the reason why people often fail at budgeting. You will be hard pressed to find anyone okay with cooking every meal, every single day of the year. Instead of vilifying dining out, lets embrace it, yet curb the amount of times per week that we partake in this extravagance. Cutting eating one meal out per week can save $60-$80 per month. This one is tough because vices are sometimes just the thing we need to get through a difficult month. Soft drinks, tobacco, gambling, even coffee can become addicting and cause us to spend way more money than we should be spending. Healthy alternatives can be the cost-saving solution you need to finally kick the habit. - Try sparkling, flavored seltzer water or fruit-infused ice water instead of soda. Not only will you save close to $50 per month, your body will feel better too. - Smoking is so twenty years ago. Not only is it out of style, it's very expensive and it's killing you! Try a cheaper alternative like vaping where you can create DIY e-liquids, or even taking up a fun way to exercise like hiking or belly dancing. The best part, saving over $700 per month! YES $700! - Seeing a commercial for the latest Mega Millions Pick 6 is enticing, or maybe throwing a $20 in the slot machine seems harmless - at the end of the day, you have better odds for making real money by investing than playing the lottery. - The average American worker spends over $50 per month on coffee. And you're probably not ready to give up on this delicious lifesaver, but there are frugal alternatives that will help you save instead of spend. By following the above mentioned tips, you will have the extra cash to start an emergency fund in no time. A good way to watch your fund grow is by meticulously keeping track of your savings and depositing that money into a high-yield, online bank account that is separate from your regular checking account. The New Way to Pay Off Debt and Invest! We're sure you have heard thousands of times that you need to pay off debt and invest in order to get ahead. But the trouble is that you don't always feel like you have extra money to spare, and investing seems complicated; this is where technology gets super exciting! What if we told you there is a new way to become debt free and invest, and you barely have to do anything at all besides make normal, daily purchases? Qoins is an app that allows you to pay off bills while making purchases. The way it works is anyone 18 years or older links his or her credit card or checking account to the app. For each day that there is a spending transaction made; say you go to the grocery store, get a haircut, buy a donut and a latte, or even go see a movie, whatever you can think of - Qoins rounds each purchase up to the next whole dollar, deducts that amount, and once you meet your predefined threshold, the app withdraws the money and pays your creditor directly. Let's say you want to your bills by the 15th of the month, and you set your Qoins "round ups" to the predefined threshold of $5, the app will withdraw it and hold it in a separate account from your checking account. When the 15th of the month comes around, however much you saved from the round ups of spending, is paid directly to whichever bill you have set to pay. When you buy a $3.45 latte, $0.55 goes into your Qoins predefined threshold amount. When you buy a $1.15 donut, $0.85 goes into your account, and so on. Every purchase you make goes toward your account, once it reaches $5 or whatever your predefined threshold is, it pays your bills! It's great for helping you to pay over the monthly minimum on things like credit card fees, or to pay off a pesky creditor that you don't find to be at the top of your list on pay day, but still need to keep up on in order to maintain your credit. What about investing money? The next app works much like Qoins, but instead of paying off a bill, you get to invest your rounded up money instead. Acorns is an app that acts as an automated portfolio management system. Sound complicated? It's not! The app allows you to invest utilizing your "spare change." Acorns rounds up your purchases to the nearest dollar, just like Qoins but instead of becoming debt free, this app makes you money, which can still ultimately lead you to being debt free. So win-win. In this scenario, all you have to do to make money, is to spend money! It's that easy. Get a haircut for $48.05, $0.95 of that purchase is invested by Acorns. The investment strategy is based on something known as Modern Portfolio Theory - and the app will also use information such as income, investment goals, risk tolerance, and other factors to determine your portfolio allocation. You can override this at anytime if you feel you need to become more or less dynamic with your portfolio compared to what Acorns recommends. What's more, for each quarter of the year, the app automatically rebalances your portfolio to maintain the desired allocation. But that's not all! Acorns will automatically reinvest your dividends in a way that is consistent with your set portfolio allocation. How do you sign up? Easy. Just like Qoins, you'll need a checking account to use Acorns. If you have an account balance of less than $5,000, you are charged $1 per month. After that, you are charged 0.25% of the account balance for balances over $5,000. And anyone under the age of 24, plus students of any age, can invest for free! Need more advice on how to gain financial freedom, contact us today! Retirement means that you have reached the ultimate goal in life; after all of the years working hard to get there, it is finally time to enjoy the fruits of your labor. No matter how much you have prepared for this moment, you may fear life without a steady income flowing in. There is hope in your new thrifty lifestyle, and having to keep an eye on spending does not mean that you cannot continue to save! Sitting outside, relaxing by the pool or going to the beach is something everyone wants to do all day every day, but let's face it, you may find yourself getting bored after a few weeks. Why not spend a few hours per month making some extra cash that can add to your savings fund? If you are crafty by nature, creating an Etsy.com store is a great way to sell your unique designs. Start out by researching what is in high demand, check out other Etsy shops and see how well those sellers are doing. From baked goods, to art, to anything you can think of. If you can create it, you can sell it! eBay.com and Amazon.com are great platforms for selling whatever you find lying around. From the basic to the obscure, there is a market for whatever you are interested in peddling. Selling on eBay or Amazon can be a once in awhile thing, like after cleaning out the garage. Or it can be something that brings in big bucks in your spare time, such as refinishing or repurposing cheap items found at Goodwill or a Yard Sale and reselling online. Early retirement is a gift, but most folks are unable to stop working until after they have reached seniorhood. The magnificent thing about reaching that golden moment is the discount that ensues! Almost every business offers some sort of deal for your age-achievement, and while most will advertise that coveted money-saving bonus, others will require you to ask for it. 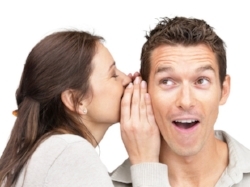 Don't be shy - by asking, you can save hundreds of dollars every month in restaurant, clothing retailer, entertainment and travel discounts! Click here for an extensive list on discounts, age-limits, percentages, and other details. Life before retirement may seem different - the fact that you had a steady paycheck coming in also meant you could probably go out to eat on a whim. While most people know that cooking at home is way cheaper than dining out, it is also time consuming and doesn't always feel as special. The senior discount mentioned above is a good way to start saving on trips to the restaurant. You can save 10% or more just by walking in the door as a senior, so be on the look out for advertised deals, or just ask if you don't see them! Restaurants also offer two-for-one meals, early bird specials and other "time of day" discounts so check their websites frequently for updates. Adjusting the frequency of when you eat out will save big. If you normally eat out four days per week, switch it up to two and put the money you have saved in the bank. The focus of retirement should not be worrying about money. After all, you have made it this far because you were smart with savings! That being said, you still need to make sure that you aren't overspending. Making a list of things in your life starting with those you absolutely need to have down to those you could do without will allow you to feel better about monthly expenses. Once you have eliminated the things that do not matter, reassess those that do. Almost everyone will have television and movies on their needs list, but it doesn't have to come from Cable TV. Cutting the cord and switching to streaming platforms can save you hundreds of dollars every month! Watching is easy, all you need is a laptop, gaming console, or smart TV and you are well on your way to controlling what you see, when you want to see it, for a fraction of the cost. Now get out there and enjoy your retirement! To hear or read the saying "nobody is perfect" sure makes one feel better after having made a mistake. The beauty in our imperfections is that we share many of them; knowing this allows us to commiserate with one another and work out new ways to make better choices. The 3 common, yet avoidable financial mistakes listed below are the type that most people experience! Whether you are currently affected by serious financial pitfalls, or are just looking to stretch your paycheck, allow this guide to help make things a little easier on your wallet. Are you avoiding grocery shopping which in turn causes you to spend money on fast food or dining out, or you are shopping for meals while you are hungry? Maybe you do not feel like making a list so you just meander around the aisles grabbing whatever looks good at the moment. Does bottled water appear to be really cheap bundled in those 24 packs at the store, but then you see most of them rolling around on the floor in your car half-empty or stacked up on your nightstand? Or maybe it is coffee that gets you - the fancy, expensive kind you purchase at the cafe down the street from the office. You swear you will just buy one per week, but find yourself there more often, like every day. ALWAYS make a shopping list based on what you are missing in your fridge and cupboards, otherwise you may double purchase things like produce and that food usually ends up in the trash. USE grocery store circulars or apps to find what is on sale the week you are shopping. SCHEDULE a time in your calendar for grocery shopping, so it does not become an afterthought but rather an important task. EAT a filling snack at home before you shop. USE an online grocery delivery service if you are not disciplined enough to follow the above suggestions. INVEST in a tap water filter for your sink. You can recycle those half-empty water bottles laying around your home for easy transport, or purchase an inexpensive hot/cold drink container, which can be used for coffee too! MAKE coffee at home. It is ALWAYS cheaper and more time efficient than driving to the cafe and standing in line. And if you are too busy or lazy (let's face it, some of us are), you can still make it happen without depending on the coffee shop. Do you think you should still be paying for cable TV? Maybe you feel like you will be missing something if you cut the cord? How about ordering pricey appetizers before your meal on those special occasions when you dine out? Or indulging in happy hour at the bar because it seems like a better deal than "regular priced drinks." Does it feel like the movie you are watching at the cinema looks better at midnight on a Friday when it premieres? Window shopping with friends at the mall is fun and good exercise, but do you find yourself stopping off at the pretzel stand for a quick bite? CANCEL your cable television subscription. Instead, switch to a service like HULU or SLING for your favorite TV shows, news, and specialty network programs. Use a cheap monthly plan like NETFLIX or AMAZON PRIME for movies new and old. STOP ordering appetizers before your meal! Restaurant portions are huge these days, and you will more than likely end up taking half of your meal home and forgetting about it in the fridge anyway. DRINK at home. Invite friends over for cocktail in your living room, you can even leave a cute tip jar on the counter to help cover the cost of providing the liquor. WATCH movies in the theater the day after the release and during matinee time; doing this can save you over $5.00 per ticket in some cities. Also be on the look out for value cinemas that offer new movie releases a few weeks after the premiere for less than $3.00 per ticket. ALWAYS snack at home before window shopping. A box of 6 frozen pretzels costs the same as one pretzel at the mall. You may think those small power strips used to control more than one appliance and electronics are just a gimmick. And does turning off lights that are not is use really save any money? Maybe you just leave your thermostat running the same temperature all year because it seems more balanced and cost effective. Are you perpetually turning the tap on and off, or worse, leaving the water running when you are brushing your teeth? Or maybe you are purchasing the cheapest lightbulbs because they appear to save the most money in the long run. BUY a multi-plug power strip. Televisions, microwaves, speakers, and other gadgets are all energy vampires when not is use. Plugging them into a strip with an on/off switch allows you to cut the power to as many as you want in a split. USE timers on your devices. Coffee machines, computers, even towel heaters can be set to turn on and off whenever you want, without draining energy. TURN your thermostat up or down (depending on the season) 10-15 degrees for eight hours per day to save 5-15% on your energy bill. BRUSH your teeth while you shower; this saves time and water! AVOID incandescent lightbulbs; 90% of the energy they use gives off heat, while only 10% contributes to lighting. Purchasing a different type of bulb such as CFL or LED will not only save you a few bucks, but also keep your home cooler in the summer. And LED lights can be used in conjunction with daylight sensors. Mistakes are inevitable, but so is saving money if you learn how! Nearly 56 million adults in the U.S. struggle with medical bills. And health-care bill related woes aren't just reserved for the uninsured; they continue to affect the 10 million INSURED adults who have accumulated debts associated with copays, deductibles, and other out of pocket expenses. With that information, it's no wonder that medical bills are the leading cause of bankruptcy in America, as shown in recent findings by a division of NerdWallet - a price comparison site. "A lot of Americans are struggling with medical bills," said NerdWallet Health Vice President Christina LaMontagne. This type of analysis which looks at rising health costs is a first for NerdWallet. According to LaMontagne, "With an average American family bringing home $50,000 in income, a high medical bill and a high-deductible insurance plan can quickly become something they are unable to pay," he said. "If you have an out-of-pocket maximum of $5,000 or $10,000, that's really tough." While many people assume that bankruptcies arise from poor money management such as credit card debt and overspending, it appears medical bills are the root cause. If not careful, health-related costs can actual create a credit card debt cycle in an otherwise financially healthy individual; this is due to credit cards being used to cover out of control medical expenses. In fact, more than 10 million average Americans will lose control of their finances because of medical related credit card debt. NerdWallet also found that 15 million people will resort to depleting their savings accounts in order to handle medical expenses. People are being pushed to the point of bankruptcy after having to deplete their savings accounts and take on high-interest credit cards in order to ease the burden of health-related costs. Healthy people aren't immune from the issue either. According to the Centers for Disease Control and Prevention (CDC), 83.6% of adults, and 93% of children, have had contact with a healthcare professional in the past year. These percentages mean the majority of U.S. citizens are seeking some form of medical care. While exercise and a healthy diet may prevent chronic illness, most people will fall ill despite good habits, and many will suffer from accident-related medical problems. Included in the Top 10 Reasons a patient may visit a primary care physician are things like injury, mental illness, and respiratory infections which can affect anyone in the U.S. regardless of the status of personal finances. Overall, while medical insurance can help Americans ease the burden of inevitable health-related costs, there needs to be an all-inclusive alternative solution if people are to avoid bankruptcies caused by medical bills. For more information on how to take charge of your personal finances, and for classes on financial wellness, please contact the nonprofit organization Catalyst Academy.